Growing up I don’t think almond milk existed. At least not as widely available as it is now. Back then your choices were white milk or chocolate milk … or the horrific strawberry option. Oh, the 1980s and 1990s! Now, alternative milks abound and there are sooooooo many perks … us mamas be scoopin’ them up left and right! 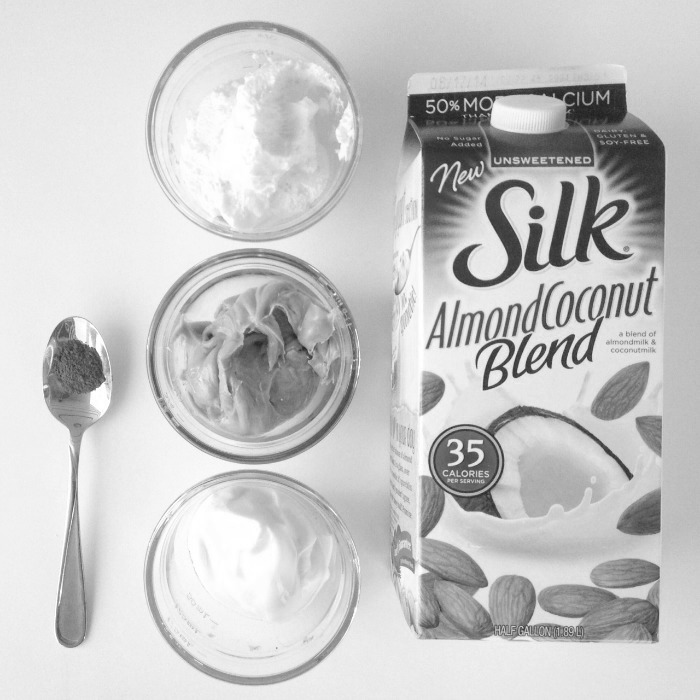 With all the benefits of almond milk you’d be silly not to start cooking with it! 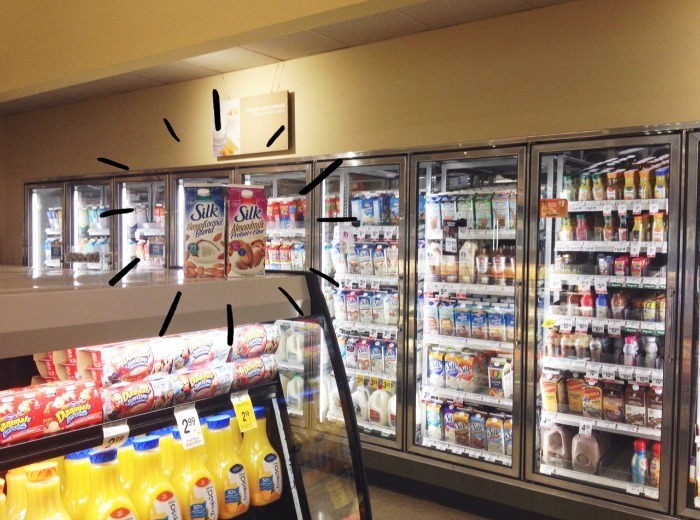 Safeway boasts a super line up of Silk Milks, one of my personal favorites for, well, just about everything — cereal, lattes, pancake ingredients, dredging chicken, smoothies and lately, popsicles with the new Silk Almond Coconut Blend and Silk Almondmilk with Protein + Fiber. Popsicles are perfect for hot summer days (and nights) and since the thermostat is reaching 92 in the Pacific Northwest this week you can bet your bushel of almonds that we’ll be popsiclin’ it up around here! 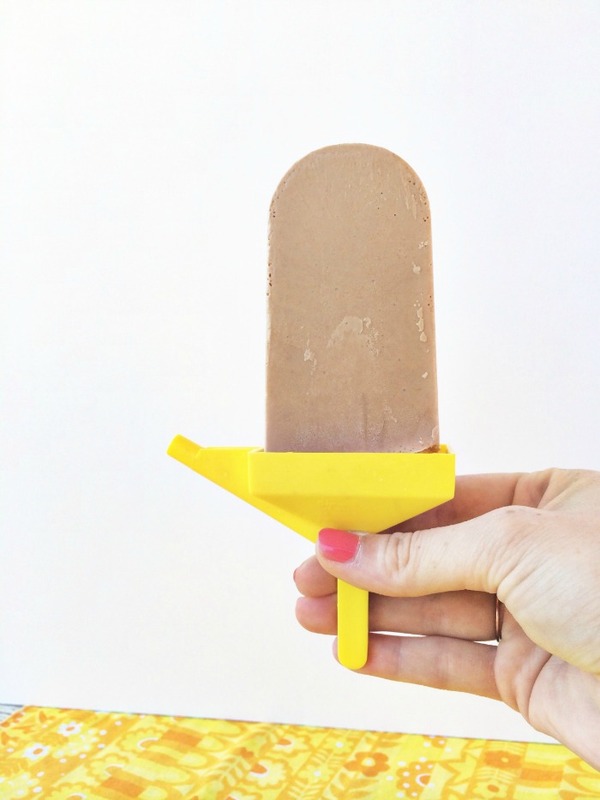 Now, grab your ingredients, thrift some popsicle molds (I scored mine for $1) and beat the heat with a delicious treat! Add peanut butter, whipped topping, yogurt, almondmilk and cinnamon into the blender. Pulse and blend until thoroughly combined. Pour into popsicle molds and freeze for 3+ hours. Spin popsicle molds under warm water to loosen before wiggling each popsicle out. Have you made popsicles before? It was on my summer bucket list so, CHECK! And, YUM! YUM! We just got our Zoku Duo & Fish Pops in the mail TODAY, so this post was timed perfectly!! 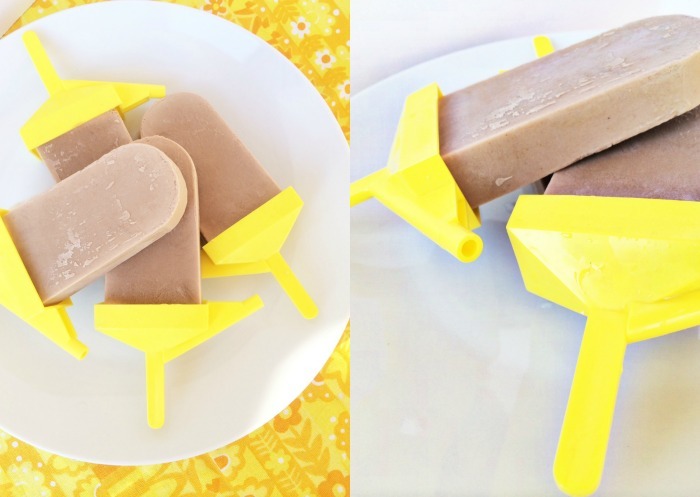 Wow, I never thought about making popsicles with almond milk, your a sneaky mamma! Yum! 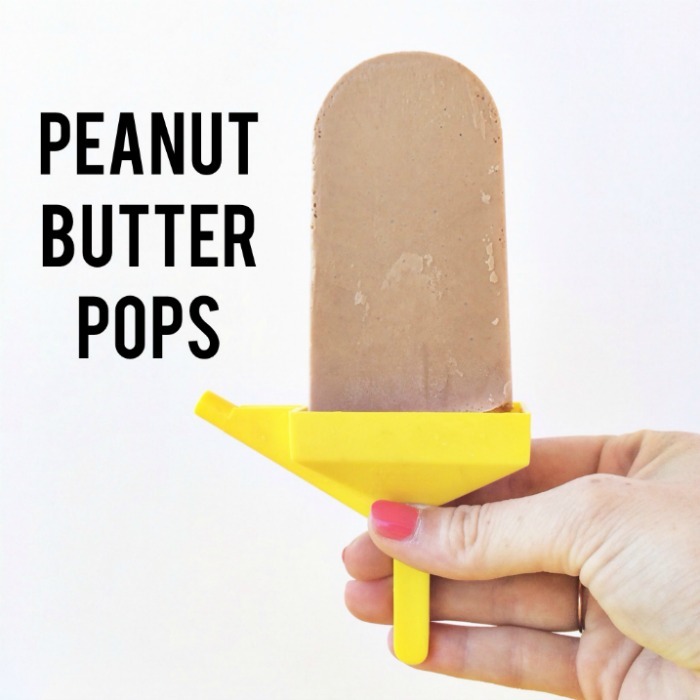 And peanut butter pops sound like something my kids would love!